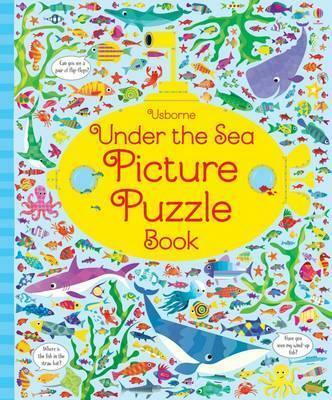 Each page of this stylish, ocean-themed book is packed full of picture puzzles - similarities to spot, differences to detect, and humorous details to pick out - as well as hundreds of other things to identify and talk about. Stunning illustrations, coupled with top-of-the-range production values, make this a beautiful gift that will appeal to a wide range of children - as well as adults! A lovely book that children will pore over for hours, or enjoying sharing with a family member or friend. As they do so, they will also be developing essential skills including visual discrimation and logic. Following on from the hugely popular 'Picture Puzzle Book' (9781409581192) and 'Zoo Picture Puzzle Book' (9781409598367).